CoLab is a specialist media consulting and market research business. We provide insights and leadership at the intersection of media and technology. Our consultants are digital media veterans based in the UK and Australia who have held senior positions at global organisations including the BBC, The Guardian and Microsoft. We work collaboratively with our clients to deliver deep sector knowledge, an impartial view on the best way forward, and a plan rooted in practise not theory. The media industry is changing faster than most companies can prepare for. This creates enormous opportunity for new ventures and major disruption for established businesses. Leaders value CoLab’s flexible access to skills, experience and contacts beyond their existing teams. Most consultancy businesses are either too small, too big or too biased. Our clients want knowledge and insights across very varied subjects from a collaborative partner that they can trust. Duncan has over 18 years of digital advertising experience gained in both media owner and agency roles in the UK and Australia. He founded CoLab in Sydney in 2015. He has worked extensively with advertising technology, particularly for the publishing side of the industry. Most recently he was Managing Director at Illuma, an AI-driven contextual targeting start-up. Prior to this he was interim CEO for KPEX, a programmatic co-operative involving the largest publishers in New Zealand. And before this he was Commercial Director at The Guardian in Australia, where he led all local sales operations including for The Pangaea Alliance. 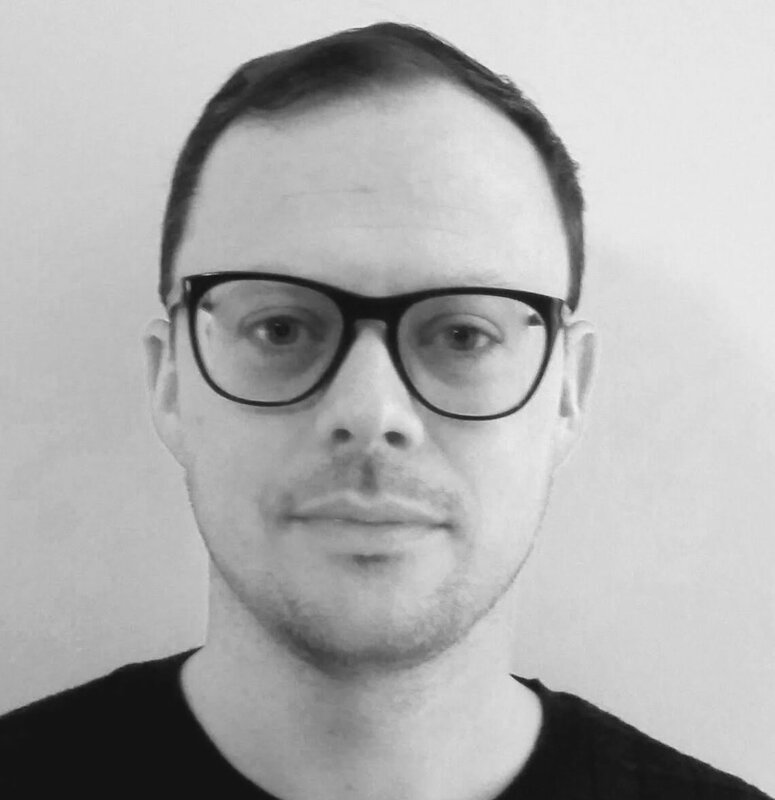 In his most recent agency-side role, Duncan was Director of Digital Services at Initiative, where he launched and developed the Australian digital operations and led strategy for major local and international brands including Emirates, Hyundai, Kia, Macquarie Bank and Fairfax. Tom is a well-known senior advisor, consultant and industry speaker who has helped transform digital advertising practice for multiple, global brands including BBC Worldwide, MSN and ZDNet. Most recently he was CEO of IOTEC, a machine-learning platform operating in the programmatic advertising space. Before this he was SVP of Advertising at BBC Worldwide, where he managed the advertising launch of bbc.com and was responsible for revenue for both television and digital products. Prior to this Tom spent 10 years with MSN: first, launching UK ad sales, then leading global sales development across EMEA, LATAM and APAC. Tom served for several years as an elected Board member of IAB Europe and was recognized as IAB Europe’s Personality of the Year in 2013. For four years he was a mentor on the BBC Worldwide Labs programme, assisting emerging UK digital and technology companies. Anne is a skillful leader and influencer with over 20 years' experience in the commercial management and governance of digital platforms. She has extensive expertise creating strategic propositions for ad technology and media companies as well as developing business and digital strategies to deliver revenue targets. Her skills include driving business growth through strategic planning, technology application and integration, product innovation, third party alliances and organisation evolution. Anne has held senior marketing, operations and technology positions within major commercial organisations, including: BBC Worldwide, Microsoft and MSN, PwC, British Airways, British Telecom, and WPP. She has led teams ranging from 10 – 1000 people in EMEA, North and South America, Asia and Australia and has managed budgets exceeding $120m. Ian is a highly experienced data consultant who has spent over fifteen years honing his skills in digital advertising planning, effectiveness research and analytics. He has held senior positions at leading research firms including Millward Brown and IDC, and for much of the past decade has operated on the publisher side as Head of Commercial Insight at The Guardian in London. Ian leads research projects with CoLab and also consults independently through his own business, Data Stories. He has a great track record helping businesses throughout the media landscape to better understand and harness their data and insight needs in relation to digital planning and measurement. Alessandro is an expert in audiences and data. He has spent over 20 years working for major organisations right across the digital industry from advertising and marketing technology, to media and mobile and research. He is passionate about helping media and consumer brands develop long-term data strategies for successful audience engagement and monetisation, regaining control of their most valuable assets, revenues and relationships. CoLab was commissioned by Splash Worldwide, the creative technology company, to conduct market research on dynamic creative optimisation (DCO). We ran the study ahead of an event hosted by Splash called “5 Things To Know About DCO” to help senior marketers better understand opportunities and challenges involved in doing DCO well. Be Heard is a collective of specialist companies spanning marketing, technology and data services. CoLab was engaged to conduct a competitor review in a particular area of focus for the team. Digital video advertising is exploding with multiple new channels, formats and targeting options available. Alongside these new opportunities come significant challenges in accurate and timely delivery of creative assets. Our recent work for Group IMD highlighted just how important it is for advertisers and agencies to prepare for an increasingly complex advertising environment. CoLab was engaged by the founder and CEO of The Remarkables Group to design and build a display advertising proposition that leveraged the combined strength and depth of a network of over 30 influential Australian bloggers. illuma is a next-generation contextual targeting company that helps programmatic advertisers enhance campaign performance through a powerful, proprietary page-matching technology. We worked directly with the founder and his in-house team of data scientists to help define and deliver go to market plans, resulting in trials with major brands such as The Guardian, Expedia, TimeOut and CNBC. CoLab was engaged by Fairfax Media, a major Australasian publishing group, to conduct a review of self-serve media buying technologies and assess the business case for building or partnering to create a minimum viable product. Following a successful proof of concept phase we were retained as subject matter experts to help build out the capability.